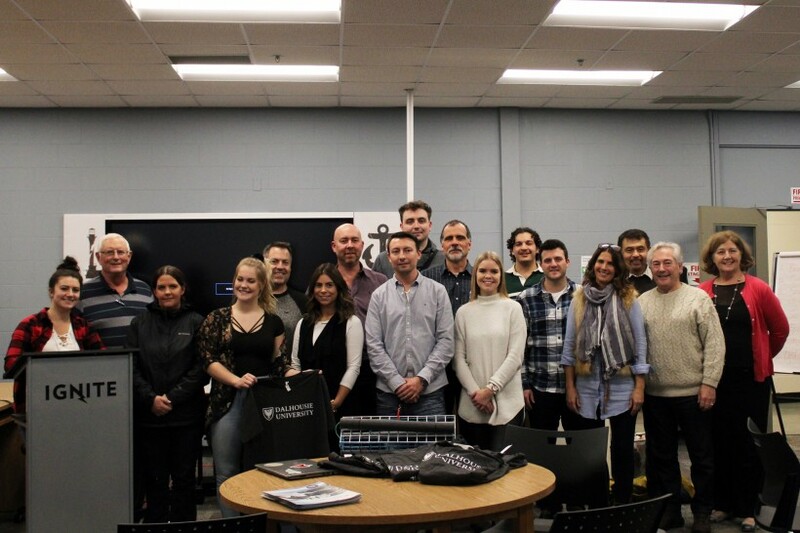 Ignite Labs and Dalhousie University hosted a startup weekend-style event this past weekend to encourage ocean technology companies in Southwestern Nova Scotia. At the Launch Oceans event in Yarmouth, teams of students, researchers and community members worked on ocean-related business ideas over the weekend. After interacting with ocean experts to validate the ideas, they pitched their startups to judges for prize money. The winners will now work with Innovar Inc., which will provide workshops on validating ideas, make connections to ocean industry experts and provide mentorship. All teams are also invited to the next Launch Oceans, to be held in March at Dal’s Surge sandbox, which promotes entrepreneurship related to oceans and science. The top prize was awarded to Scott Dauphinee and Alex Stevenson, founders of Oyster Pyramid, which aims to help oyster farmers turn oyster bed cages. The second-place prize went to Carol Harrison, founder of Smart Start, which hopes to use recycled fish boxes as fuel for fires. Jonathan Skjelmose won the third prize for Black Watch Tech, which plans to help rescue ocean-goers who fall into the water. In addition, two Junior Women’s Entrepreneurship prizes were awarded. The top prize of $2,000 was awarded to Danielle Surette and Kristin Baldursdottir for Captain Buoy, which is developing a device that tracks lobsters in traps and sends notifications to fishers. The second-place prize was awarded to Laura Jones, founder of Sea Jewel, which is creating ocean-inspired jewelry from recycled shells. Launch Oceans was developed three years ago by Mary Kilfoil, Director of Dalhousie’s Norman Newman Centre for Entrepreneurship, in an effort to help develop new oceans-related innovation companies. Ignite Labs opened recently and encourages entrepreneurial growth in the technology, oceans and tourism sectors in Southwestern Nova Scotia.